similar audience, so how do they compare? 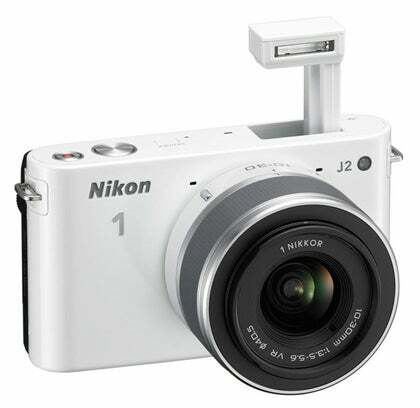 While the Nikon 1 J2 offers a 10.1MP sensor, the Sony F3 ups this to 16.1MP and the Samsung NX1000 even further to 20.3MP. The latter two cameras spread these pixels over an APS-C area, while the J2 makes do with a 13.2×8.8mm sensor, which means that its pixels are significantly smaller by comparison. The kit optics supplied with each camera differ too. The J2’s 10-30mm lens provides an effective focal range of 27-81mm, while the NX1000’s 20-50mm offers a slightly narrower 31-77mm range. The NEX-F3 comes with a more standard 18-55mm lens – an effective range of 27-83mm. 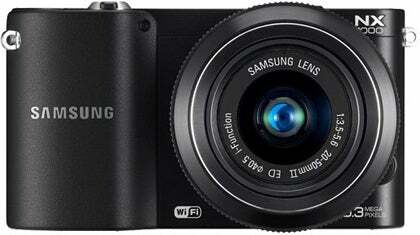 The Samsung lens is the only one without optical image stabilisation, and as the NX1000 body doesn’t have it either it means this particular combination is left completely unstabilised. 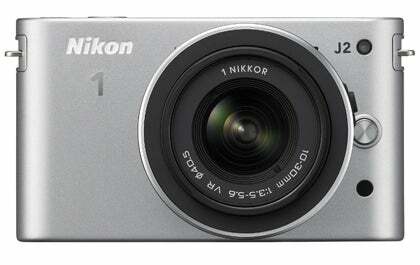 All three models offer both Raw and JPEG capture modes, and each provides manual control over exposure. A collection of exposure adjustment options is also provided on each model: the Sony F3 offers the Dynamic Range Optimizer which has long-featured on Alpha models, while the J2 Nikon similarly provides Active D-lighting and the NX1000 has a Smart Range Option for the same purpose. 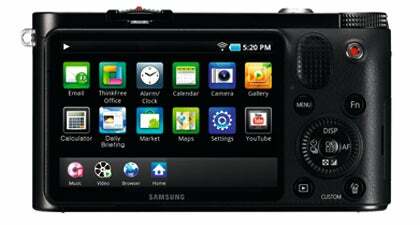 As expected, full HD video recording is possible on each model, although the three do vary slightly in how they record. Impressively, the Nikon J2 even offers 400fps and 1200fps slow motion capture modes, although very much at the expense of resolution. 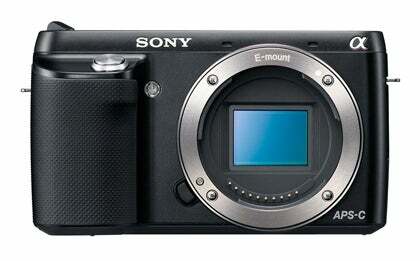 All three cameras have a 3in LCD screen on their rear, each resolving details with 921k dots. Of the trio, only the F3 offers an articulated display, which can be lifted over a full 180° angle to face the front, which, as Sony states, makes it ideal for self-portraits. The other two have their unique selling points elsewhere: the NX1000’s ace card is its wireless functionality, which allows images to be emailed, shared on social networking sites and uploaded to cloud storage, none of which is possible on the other two cameras. Another of its strengths is the iFunction control (available with compatible lenses, the 20-50mm kit lens being one of them), which allows commonly-accessed settings to be changed simply through a rotation of the lens’s focusing ring. Not to be outshone, the J2’s electronic shutter allows for a maximum shutter speed of 1/16,000sec – useful when using wide-aperture lenses in bright conditions – while the Smart Photo Selector captures 20 frames before and after the shutter is released to ensure a moment is not missed. However, its 60fps burst mode is its most impressive feature, though the focus and exposure are fixed from the first frame. Sadly, the depth in this mode is only 12 images; otherwise continuous autofocus during burst recording is available at a rate of 10fps. Neither of the other two cameras is a slouch here, though; the NX1000 can capture at 8fps while the F3’s 5.5fps (in the fixed-AF Speed Priority mode) capability promises 18 fine JPEG frames, 7 Raw frames or a combination of the two at 6fps, all of which depends on the type of memory card used. 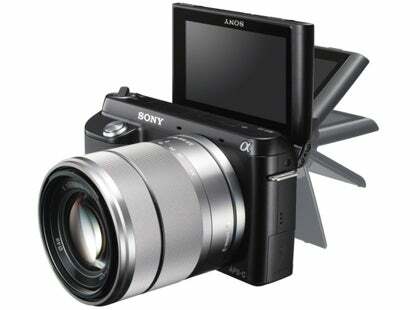 All three cameras accept the family of SD media cards, with the Sony also supporting the Memory Stick format. All can also output images and videos through either USB or HDMI means.